MODEL 6460 120 VOLT 15 AMP; 5200 NO LOAD RPM; ARBOR SIZE 3/4"; WT. 20 LB. 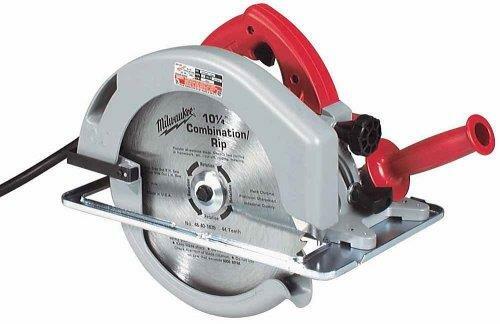 DEPTH OF CUT AT 90 DEGREE 3-3/4" DEPTH AT 45 DEGREE 2-3/4"
* Please call us for any questions on our saw circle 10 1/4 inch rentals in Cincinnati Ohio.